Justin loves woot.com! In fact, he calls me on a regular basis to ask me if I need totally random items just because they are so cheap. Well this time, he just went ahead and bought something and decided to surprise me. How exciting! When the tiny package came in the mail, I was so surprised to find a bag of cedar wraps from True Fire Gourmet. I put the wraps in my pantry and sort of forgot they were there…I really need to clean my pantry! Anyways, one night for dinner, Justin and I decided that we wanted to eat some fresh caught salmon from Nootka Sound (in Canada). I am a Pacific Northwest girl and my family fishes a lot. I mean A LOT! So I always have fresh caught salmon and halibut in my freezer. It is so good. So I let the salmon defrost and wasn’t sure if I should cook it my normal way (which is to pour salsa all over the salmon, wrap it in foil like a candy wrapper, and bake at 400 degrees for 40 minutes) or try something different. 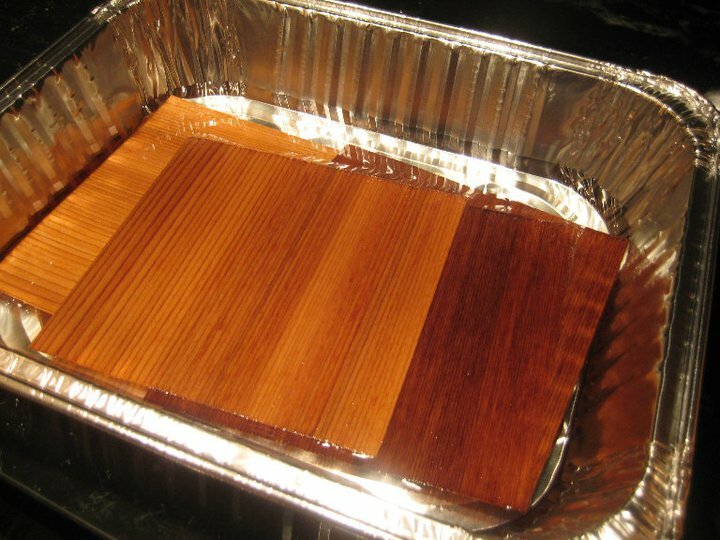 It’s a good thing I had those cedar warps just sitting in my pantry and I finally remembered that they were there. Before baking the salmon, I soaked the wraps in some water for 30 minutes. It’s amazing how the water brought out the woodsy smell of the cedar. In fact, I think I would let the wraps sit for a full hour next time I use them since it will only bring out the smell and flavor even more. With the salmon fully defrosted, I put a touch of olive oil, salt and pepper on each piece and wrapped it in a cedar wrap. In to the foil pan they went and right in to the oven, alongside some garlic brussels sprouts! 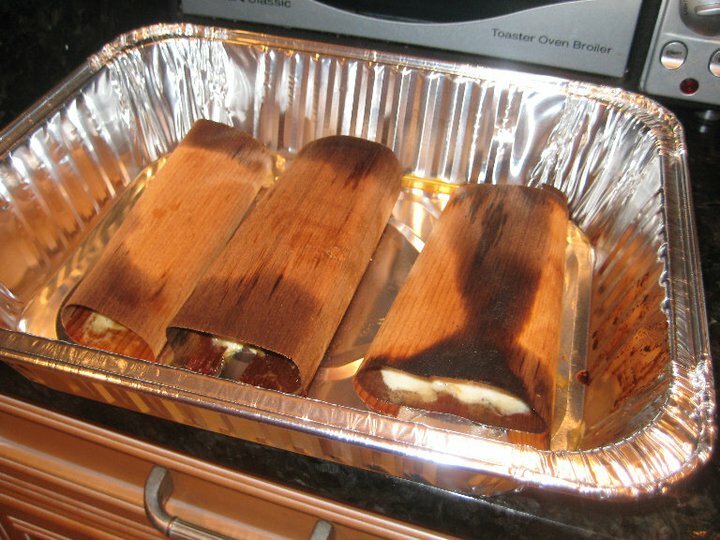 After baking the salmon at 350 degrees for 35 minutes, I set the oven on broil and let the fire toast the top of the cedar wraps. My house smelled like a camp fire! I just wanted to roast some marshmallows and sleep in a tent. It’s been a while since I’ve done anything like that. Senior year of highschool with my graduating class. My dad making cougar and bear noises outside of my tent. Trying to scare us even though we all knew it was him. Ah, memories! 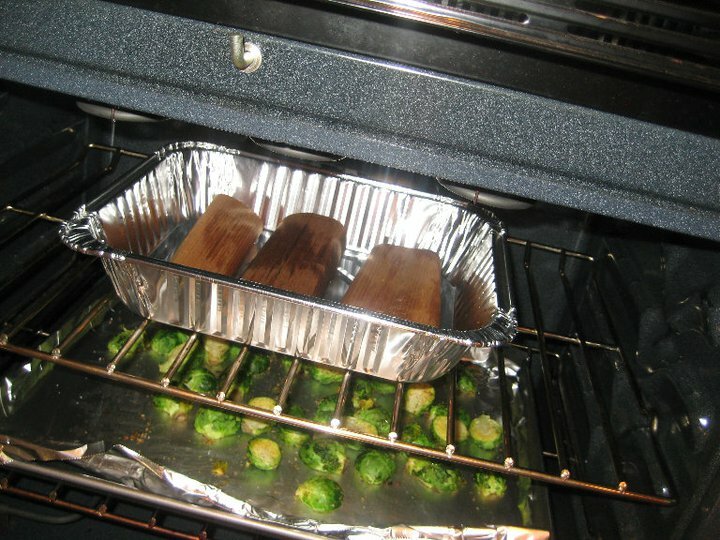 Back to the salmon…it came out of the oven moist and delectible. 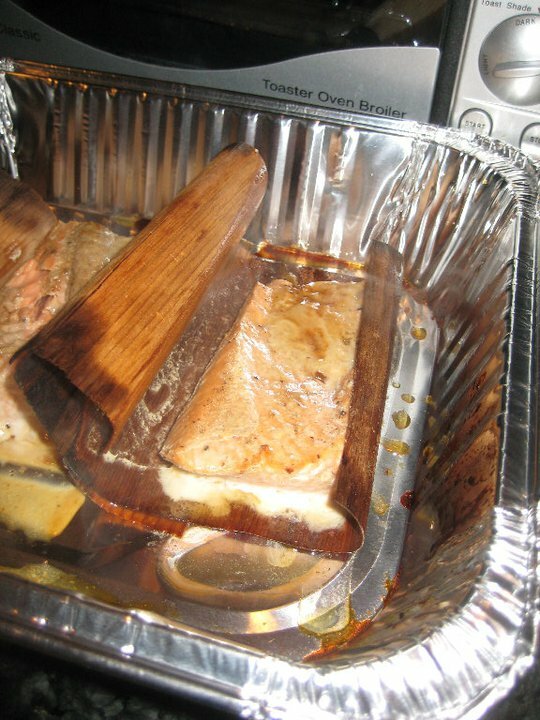 The salmon had a light cedar taste, which I was very happy with since I wanted to smell the camp fire and not taste it. I’m just so excited that the package contained 24 cedar wraps so I can experiment with tons of different recipes and use the wraps in as many ways as possible. What’s next? ?